How much does the RAM and storage in your phone actually cost? I’m sure my eyes weren’t the only ones watering at the leaked price for Samsung’s upcoming Galaxy S10. The report suggests that the most expensive S10 Plus model, which packs 12GB RAM and 1TB of internal storage will cost 1,599 euros (~$1,818). It wasn’t long ago that smartphones controversially passed the $1000 mark and it appears that we could soon be at the $2,000 milestone. Ouch! The only extra you get when you opt for the top variant is more RAM and more storage. As far as we know, nothing else about the smartphone’s specs change. However, the premium paid for this extra memory appears to rise exponentially. The difference between the 6GB/128GB Galaxy S10 Plus and the 8GB/512GB model is $284. In other words, you’ll pay $284 for the extra 2GB of RAM and 384GB of storage space. That’s already expensive, but the move from 8GB/512GB to 12GB/1TB could cost a further $341. In this case, $341 gets you 4GB of RAM and 512GB of storage space. Memory isn’t usually the most expensive component in a smartphone, that’s usually the display and application processor. Although, to be fair to Samsung, cutting-edge memory in a very high capacity can often cost a premium. But is there some level of price gouging going on here? How much does memory really cost? Pinning down exactly how much RAM and NAND flash memory costs is a tricky business, in no small part because component prices are almost impossible to find. There are various capacities, technologies, and manufacturers to pick from, each charging slightly different prices. Not to mention that Samsung and other OEMs have much better bargaining power to negotiate prices below anything you’ll find online. We attempted to track down equivalent part prices from component retailers, including Mouser and DigiKey, but there’s a considerable markup applied on these sites that Samsung definitely isn’t paying. We’re going to have to use a bit of intuition to figure this out. According to this bill of materials (BOM) breakdown, the Samsung Galaxy S9 Plus‘ 6GB RAM cost Samsung just $39, probably because it was sourced in-house (Samsung is a leading RAM and flash storage manufacturer). Meanwhile, 64GB of UFS flash memory from Toshiba cost just $12. We can extrapolate Samsung’s Galaxy S9 costs up to 512GB and 1TB of storage. Ignoring falling flash memory prices and savings by scaling up capacity, prices could be in the region of $96 for 512GB and $192 for 1TB. Actual costs are likely to be lower if we factored in the cost savings of scale. Industry estimates suggest that flash storage could cost just $0.08 per GB in 2019, which could halve our conservative estimates here. As for RAM, we can make a similar assumption. The move from 6 to 8GB should cost no more than 33 percent more. 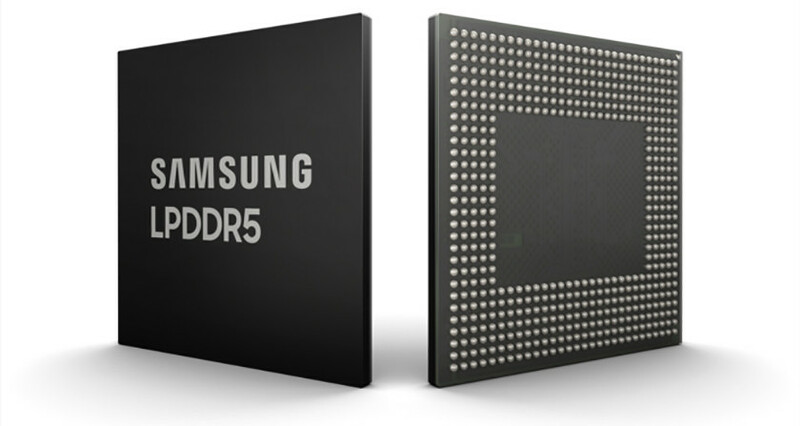 This suggests that an 8GB LPDDR4 chip should cost somewhere in the region of $52 for Samsung. Meanwhile, the 12GB chip should cost somewhere around $78. Remember though, this is a very rough estimate based on extrapolating guideline prices. This gives us a very conservative ballpark, but actual prices that Samsung pays could be lower. And DRAM prices across the market are currently dropping due to oversupply and sluggish demand. Using these ballpark estimates will get us in the region of Samsung’s BOM. The RAM and storage in the base 6GB/128GB Galaxy S10 Plus should cost around $63. The RAM and storage in the 8GB/512GB model should cost around $148. That’s $85 more compared to the lower version. The RAM and storage in the 12GB/1TB model should cost around $270. That’s $122 more compared to the lower version. We calculate the estimated cost differences between models at $85 and $122 respectively. Certainly not the $284 and $341 price hikes that Samsung is rumored to be charging for the Galaxy S10 Plus models with more storage. We’re looking at a markup of around 179% to 234% on these parts, which could be potentially much higher if flash memory prices fall as far as expected. Bear in mind, these rough calculations don’t take into account the full picture. There are other development costs, such as configuring drivers and other bits of software involved too. Even so, there’s definitely a significant markup applied by smartphone manufacturers for the privilege of owning larger storage capacities. We’ll keep an eye out for a Galaxy S10 BOM after the phone launches on February 20. That will tell us how accurate our estimation was and how much of the price premium is just profit in Samsung’s pockets. To be clear, we’re not singling out Samsung here. Higher markups for top-tier versions seem to be the norm, and not just in the mobile industry. From a consumer’s perspective, it seems greedy. But if you put yourself in a mobile CEO’s shoes, you may be less inclined to think so. The high premium that customers pay for the higher-end versions of a phone may help “subsidize” the base models, which have lower profit margins. Furthermore, memory and storage is one of the few opportunities to upsell for a phone manufacturer. In an extremely competitive market, offering highly expensive, high-powered variants means companies can improve their margins without completely giving up on more budget-conscious buyers.